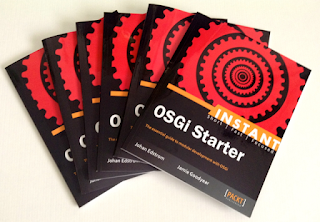 Instant OSGi Starter in print! 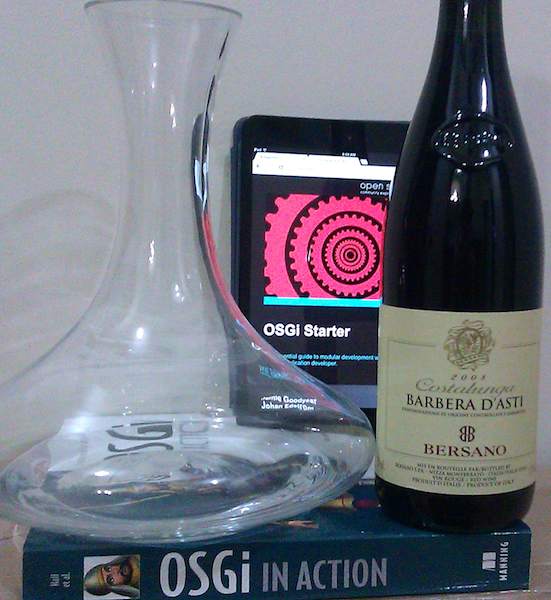 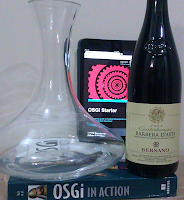 My hard copy order of Instant OSGi Starter finally arrived! 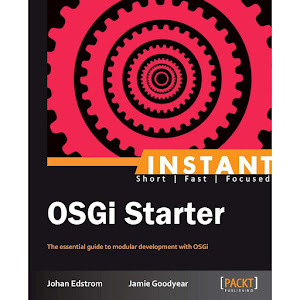 As I had previously posted Johan and I began working on this project last spring after being approached by Packt to submit an outline for how we see OSGi being introduced to developers. 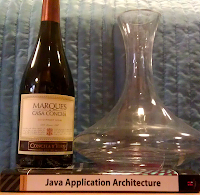 We made it our goal to not only introduce the subject but to write the book such that a java developer could pick it up on a Friday afternoon and come Monday morning be ready to join a team project based in OSGi, with an already established software architecture, and be productive. We hope that you find our approach to be concise, fast paced, and get you developing as quickly as possible. If you're looking to begin developing with OSGi, then pick up your copy of Instant OSGi Starter today! 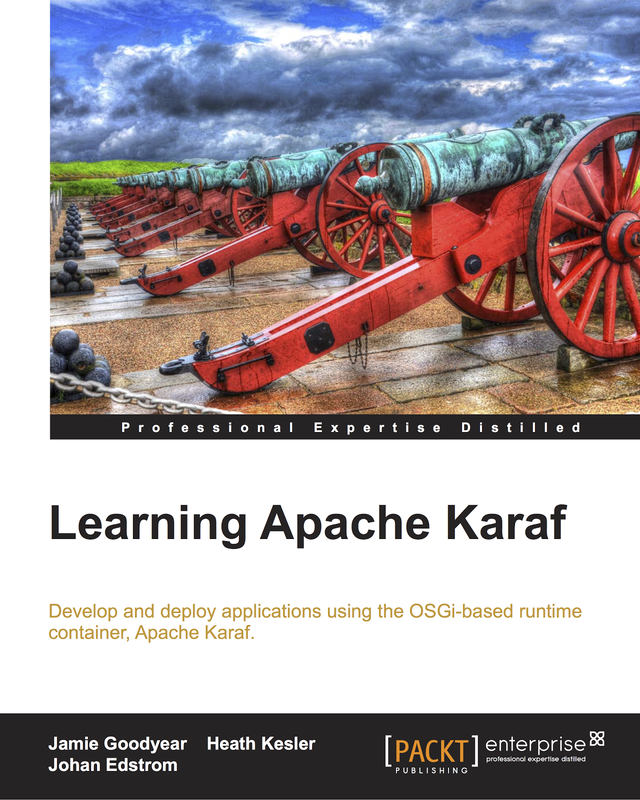 In this Apache Karaf update report you'll find notes on development progress towards Apache Karaf 2.2.11, 2.3.1, and 3.0.0 as up coming releases. All of the information here is collected from following Karaf's issues mailing list, and cross referencing with the community's issue tracker. 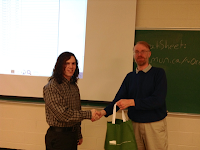 The summary form is presented here courtesy of Savoir Technologies to help make keeping up with the community's fast pace a little easier. 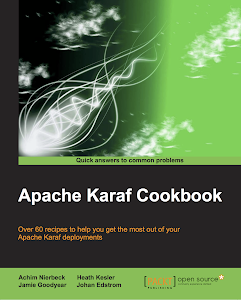 Karaf-2166 Apache Karaf Web Console Configuration is missing bundles and also metatype.properties content. 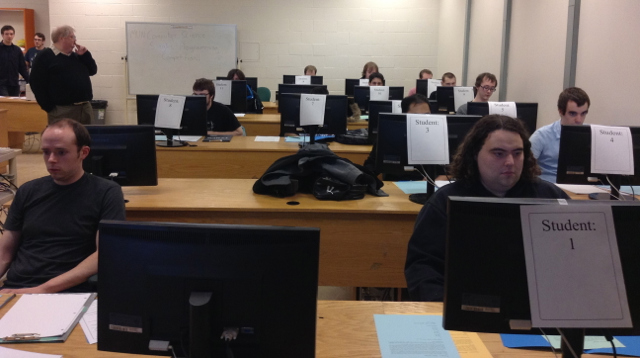 Karaf-2181 jpa feature can't be installed "out of the box"
The Winter 2013 CS Singles programming competition took place last Friday night at Memorial University. Twenty students took part, trying their skills against the algorithmic conundrums the programming competition committee prepared as their set of three problems. 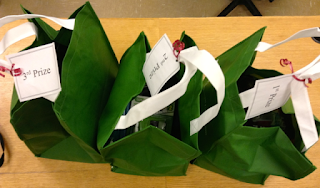 First, Second, and Third place prizes awaiting the results. The volume of submissions for this competition was impressively high, at the end though three students emerged with top results; in third place was Mark Stacey, in second place was Ken Collingwood, and finally in first was Adam Murphy. 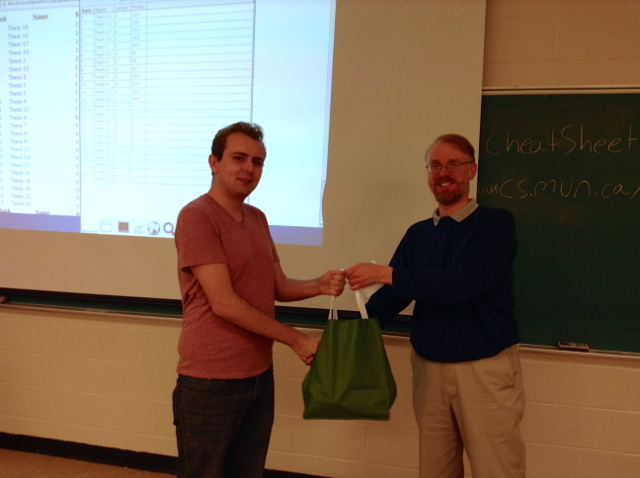 I'd like to thank all the students, volunteers, and the programming competition committee again for making this CS programming competition possible. 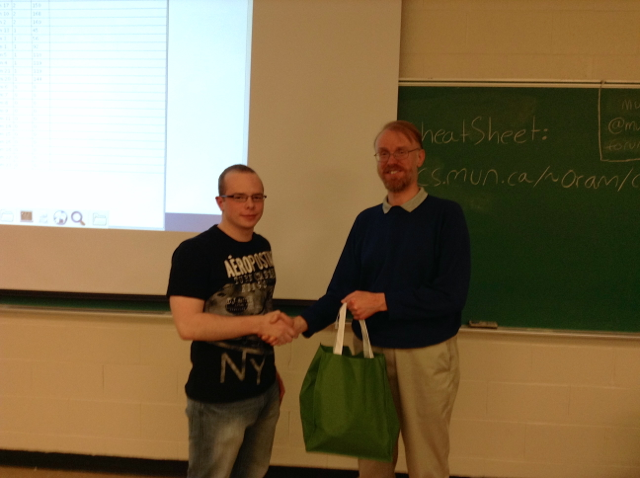 We hope to have another round of competitions soon!